Information on upcoming activities at Midwinter and National Library Legislation Day. An interactive computer that will point users to ALA Washington online resources, including the District Dispatch podcast and blog. A slideshow of pictures of our office and staff. ob diese sich neu entwickelnden Formen in ähnlichem Maß Vertrauenswürdigkeit und Professionalität aus dem “ultimate consensus” erzielen, oder ob sie lediglich als ein Übermaß an überflüssigen kleinsten Informationssplittern und in einer Zusammenballung von Mittelmaß enden werden. Ask a Librarian, aber wie? sowie schon berichtete, die Denver Public Library hat mal mit YouTube ein Gewinnspiel in der Bibliothek gemacht. Jetzt gibt es auch ähnliches Event in der Gail Borden Public Library nennt dich Storypalooza. We love stories at the library and have discovered a wonderful new way to tell them. Millions of others have discovered it too: YouTube. YouTube hosts videos from throughout the world…at no charge. Man braucht nur sein Lieblingsbuch oder eigene Geschichte vor dem Kamera erzählen und auf YouTube stellen, dann könnte man schon ein wertvollen Preis gewinnen. Ja, das ist eine 2.0 Bibliothek, sie hat die Spitze der Pyramide erreicht – Erfahrungsaustausch. endlich ist der spannende Artikel zum Thema “Chancen und Risiken der Bibliothek 2.0: Vom Bestandsnutzer zum Bestandsmitgestalter” von Prof. Friedrich Figge (HTWK Leipzig) und Katrin Kropf in E-LIS erschienen. “You Tube” (A Love Song) ist ein Song von dem coolen Jungs, er hat selbst gesungen, gespielt, als Video aufgenommen und in Youtube gestellt, nach fast drei Monaten wird das Video 432.729 mal angeguckt und 3.889 mal kommentiert. Das ist natürlich kein Top 10 Video in YouTube, aber wenn man nach Titel des Videos sucht, merkt man sofort, wie beliebig das Song in Youtube ist. Es wird gebastelt, gelobt und bekommt viele VideoFeedbacks. Ja, die Revolution werden von unten gemacht, wer singt ein Song auch von unter für die Bibliothek? Two of the first and most original thinkers on Library 2.0 introduce the essential concepts and offer ways to improve service to better meet the changing needs of 21st century library users. Describing a service model of constant and purposeful change, evaluation and updating of library services, and user participation, the book both outlines the theoretical underpinnings of Library 2.0 and provides practical advice on how to get there. From incorporating technology to reaching “the long tail,” from getting buy-in to maintaining momentum, all aspects of Library 2.0 are covered—and its myths debunked. “It’s not an either-or thing. We need the ‘high touch,’but we need the high tech at the same time”. Can Second Life Solve Classroom Crowding? 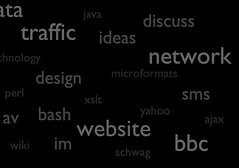 Tagging is a kind of next-stage search phenomenon a way to mark, store, and then retrieve the web content that users already found valuable and of which they want to keep track. It is, of course, more tailored to individual needs and not designed to be the all-inclusive system that Melvil Dewey tried to create with his decimal-based Scheme for cataloguing library materials. Taggers look like classic early adopters of technology. They are more likely to be under age 40, and have higher levels of education and income. Taggers are considerably more likely to have broadband connections at home, rather than dial-up connections. Men and women are equally likely to be taggers, while online minorities are a bit more likely than whites to be taggers.